Graybert Beacham has been an active orchestral and chamber music performer throughout the United States and Mexico. He holds Bachelor's and Master's Degrees in Performance from the Cleveland Institute of Music, where he was the recipient of the Dr. Jerome Gross Prize in Violin. Major teachers include David Cerone, Bernhard Goldschmidt, and Emanuel Borok. His conducting studies have been with Kenneth Kiesler at the Conductors Retreat at Medomak, Lawrence Golan, and Max Bragado-Darman. He has studied chamber music with members of the LaSalle and Guarneri String Quartets. Recorded performances have been broadcast over public radio stations across the United States. His orchestral affiliations have included the Mexico City Philharmonic, Tulsa Philharmonic, Orquesta Sinfónica de Minería, and Kansas City Philharmonic. He has served as Acting Concertmaster of the Vermont Symphony Orchestra under the direction of Jaime Laredo, and as Concertmaster and soloist for the Cascade Festival of Music in Oregon. As a violist, he has been a guest artist with the Portland String Quartet and served as Principal Violist with Opera Boston (formerly the Boston Academy of Music). Faculty positions have included the Cleveland Institute of Music Preparatory Department, Oklahoma Summer Arts Institute, Sunriver Institute for Strings, Music Festival of Arkansas, Bay Chamber Concerts Next Generation Program, Maine ASTA Summer String Conference, the New England Suzuki Institute, and the Southern Maine String Academy. He has held the position of conductor with the University of Maine at Farmington Community Orchestra, has guest-conducted the Midcoast Symphony Orchestra, and is an active conductor/clinician at various educational festivals in Maine and Massachusetts. 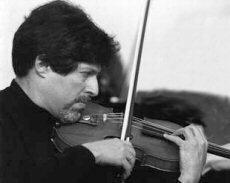 From 1993 until 2002, Mr. Beacham was a member of the applied faculty at the University of Southern Maine School of Music, teaching violin, viola, and chamber music. Currently, he is Applied Music Associate in Violin and Viola at Colby College, where he also teaches chamber music and serves as Concertmaster for the Colby Symphony Orchestra. He maintains an active performing schedule with the Nordica Trio (violin/viola, clarinet and piano), and is currently enrolled in the doctoral program at Boston University School of Music, pursuing a D.M.A. in Music Education. In addition, Graybert is a substitute player with the Portland Symphony, performing as Concertmaster, Principal Second Violin, Principal Viola, and soloist. He has recorded for Albany Records.